Just recently an enormous, beautiful mural of a 4-year-old girl emerged covering the Buckley Transportation Center on Common Street. She is blowing bubbles, which appear to float all the way around previously drab facade. 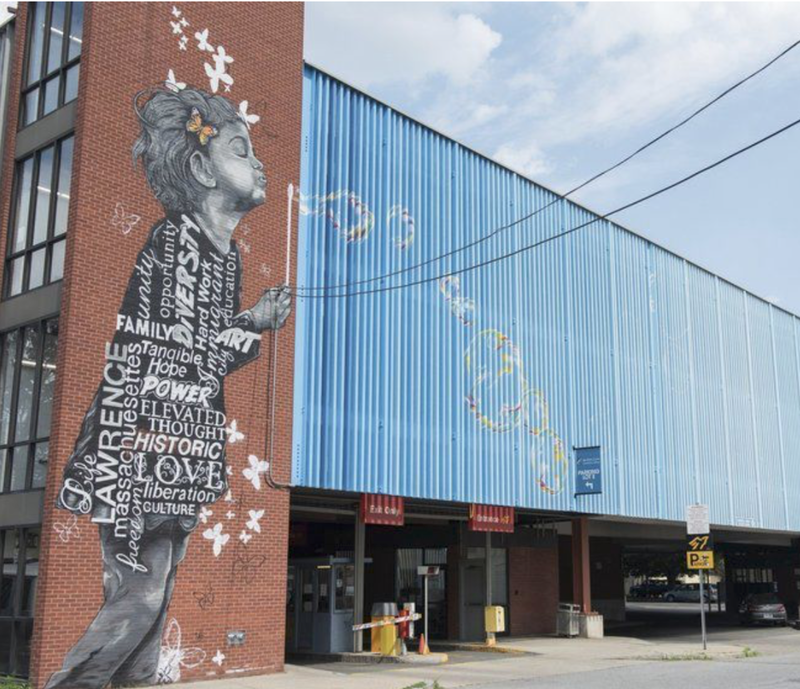 Created and painted by Alex Brien, it is his daughter depicted in the piece and the bubbles evoke travel and transit, a symbol of the city's tradition as a home for immigrants arriving from around the world. 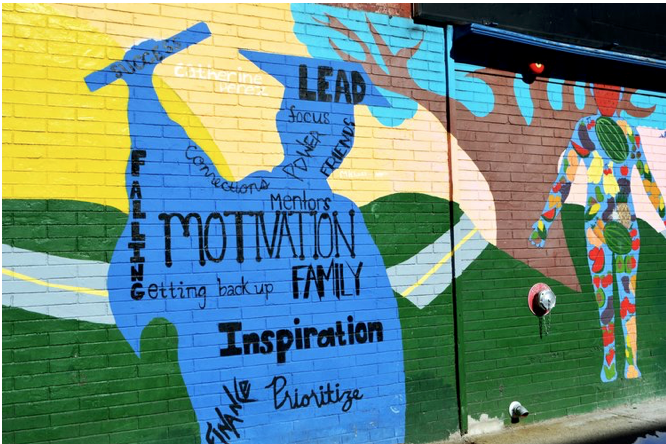 It may be the biggest piece of artwork in the state and a team of artists has painted the colorful and uplifting mural, which was paid for by a $100,000 grant from the city and several private co-sponsors. Plus, the Essex Art Center has partnered with the Valley Works Career Center to showcase stunning, collaborative murals throughout the city. Together they have also been able to invest in new initiatives like college prep courses and youth summer programming. Here are a few pieces you can see as you walk along Essex Street.